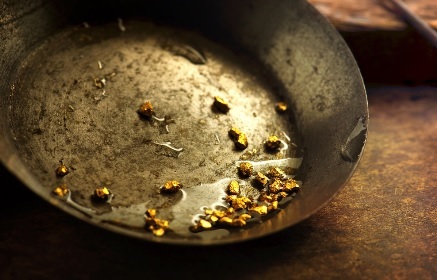 When you think of precious metals, what comes to your mind? Normally, people place gold and silver on the top list because of their widespread use in jewelry and official recognition as a basis of monetary system. However, there are other substances that are equally precious that you need to learn more about. Meet the top 5 most sought-after metals in the world. Gold is often referred to as the king of precious metals, all thanks to its reflectiveness, durability and malleability. The rare metal occurs in its purest form in South African and American mines and is retrieved using methods like metal detecting, cradling, panning, dredging and sluicing. For ages, the soft metal has been used as a tool of monetary exchange and to this day, most countries have their wealth indicated by amounts of gold reserves. Other than that, gold is used in jewelry-making and high-end electronic applications. Silver is found in its native form (and in the form of mineral ores) in South America, Australia and Colorado (USA) and mined using a variety of methods including alkali fusion, lead collection and carbon pre-roast. Known for its shiny texture, the lustrous metal is ranked as the element with the highest electrical conductivity. This much-sought-after metal has many uses ranging from making of utensils, jewelry, currency coins, dentistry amalgams and electrical conductors. Silver for sale is one of the most attractive products on the precious metals marketplace nowadays. Platinum is a noble metal that is malleable, ductile and non-reactive. It is the most recognizable member of the platinum group of metals and holds the top title when it comes to market demand. The highly dense metal is used to make electrodes, jewelry and thermometers. Some compounds of it are used to make artificial fiber. 80% of the world’s platinum is in South Africa where it is mined through methods like narrow reef and open-pit strip methods (just like palladium and iridium). Of the platinum group of elements, Palladium is the hardest to find. It is known for being soft, ductile and does not react easily with oxygen. However, its pure metallic form can catch fire easily. Its most important use is in purification of hydrogen as it’s capable of absorbing 900 times its own volume. It’s also used to make electrodes, surgical equipment and jewelry. Iridium is a transition metal that is categorized in group 10 of the periodic table (also a member of platinum metals family). It is brittle, hard and silvery to whitish in color and has two naturally occurring isotopes. The most important use of this metal is in making electrodes which are used in production of chlorine. Besides that, iridium is used in spark plugs due to its high corrosion resistance. Because it is one of the hardest metals, it highly sought after by jewelry makers from across the world. Investing in precious metals these days has become much easier because you can complete the transaction(s) online. However, you should always trade with a prudent and established seller. It’s recommended to find a reputable seller who offers instant trade execution, continuous trading hours, price charts and competitive fees. A good example of a top seller with a long- standing record is Golden Eagle Coins, a company that empowers its clients to make informed decisions on each and every transaction.